Do I need to manually pause prospects that are Out Of Office or is there an auto-setup? 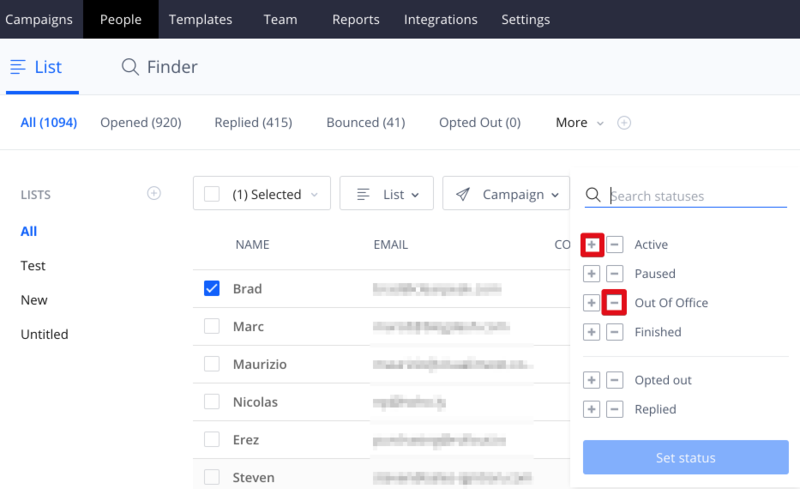 What do you do with contacts that were automatically detected as out of office during one of your Reply campaign? Here's the answer. Those prospects that have an auto-responder out-of-office message will be automatically put on pause. You can resume sending the follow-up emails to them by changing the prospect status from Out Of Office to Active (unmark Out of Office, mark Active).